The idea of lab-grown or in vitro meat is not new, but Maastricht-based researcher Dr. Mark Post has been working on making the idea a reality by turning 20,000 strips of cultured beef muscle into a tasty in vitro burger, and now it’s reportedly scheduled to be served for the first time at a London event next month. With only salt and pepper added to enhance the flavor, this first five-ounce burger will have cost a whopping $325,000. I wonder if you get a slice of cheese for 50 cents more? Needless to say, that’s a pretty heavy price tag for something he says “tastes reasonably good.” However, if it works out, it obviously has huge implications for the future of commercial meat production around the world. 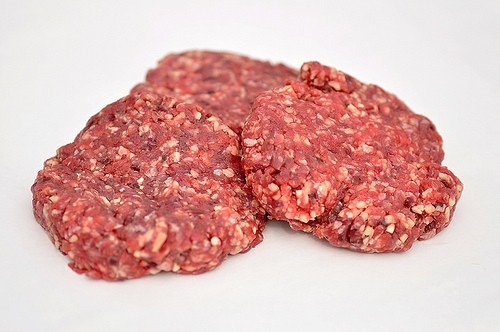 The burger started with a cell taken from a cow’s neck, which was then replicated using stem cells from fetal calf serum. The end product is a complicated process that is (clearly) quite expensive to make, but perhaps the most fascinating part is that it contains no fat. This could make it much healthier than conventionally raised meat, and a heck of a lot better for the environment and animals than traditional factory farming. His goal is to show potential investors, future customers, not to mention journalists, that lab meat has gone from a science fiction idea to a reality, and that with the right funding and support, it can become a successful, more environmentally friendly part of the meat marketplace. Now that I’m thinking about it, this begs the question: would you rather eat a lab-grown burger or a bug-based burger?